Woodland Hills is a world-class golf club, but it does more than just give guests one of the best options for a round of golf anywhere in Michigan. 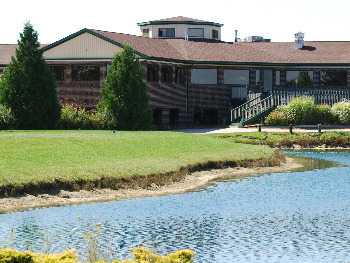 Our Sandusky golf course is also a fantastic place to enjoy fine dining or hold your next important banquet. With a combination of picturesque scenery and our hospitable team, Woodland Hills is a wonderful place for whatever a guest may need. Our Sandusky golf course is a predominantly link-style course that can challenge experienced golfers with a thoughtful layout while helping rookies relax amid the unmatched scenery as they learn this classic game. Some holes are traditional designs, such as holes #2 through #8. These holes include dogleg fairways and well-bunkered, small greens. On the other hand, holes #9 through #11 and also #18, were carved through a forest and feature moguls and a strong prevailing wind. Overall, water hazards (ponds) come into play on seven holes. For the most part, the terrain is flat, but some mounds can cause uneven lies. The signature hole is #16, a 430-yard, par 4, featuring waste bunkers and moguls, and requiring a well-placed approach shot to an undulating green. Woodland Hills Banquet Center provides an extraordinary setting for all your social and business functions. We can assist you in customizing any personal or professional event to be exactly what you want and need. Anything from wedding receptions to business meetings or any special event you may be planning. Our professional staff is here to make you event special and worry free, and we can accommodate between 30 and 300 guests. We can't wait to welcome you to Woodland Hills!